Advocate staff photo by JOHN McCUSKER -- The Woodland Plantation in LaPlace was the origination point for the largest slave uprising in American history and the birthplace of one of it's first jazz musicians, Edward "Kid" Ory. The porch is quiet and abandoned but for a rocking chair. Advocate staff photo by JOHN McCUSKER -- Bobby and Jay Ory in the old family home, the Woodland Plantation in LaplAce Friday, February 19, 2016. Advocate staff photo by JOHN McCUSKER -- The Woodland Plantation in LaPlace was the origination point for the largest slave uprising in American history and the birthplace of one of it's first jazz musicians, Edward "Kid" Ory. The fabled home is for sale. The house is cogered with beaded board . Advocate staff photo by JOHN McCUSKER -- Jay Ory looks out the front window of the old family home the Woodland Plantation in LaPlace Friday, February 19, 2016. 1910: Kid Ory's Brown Skinned Babies. Rabbit Robertson, Kid Ory, Lewis "Chif" Matthews, Johnny Brown, Joseph "Stonewall" Matthews, Foster Louis. Courtesy Hogan Jazz Archive, Tulane University. Advocate staff photo by JOHN McCUSKER -- The Woodland Plantation in LaPlace was the origination point for the largest slave uprising in American history and the birthplace of one of it's first jazz musicians, Edward "Kid" Ory. The fabled home is for sale. The remaining plantations that line the Mississippi River don’t often change hands, but a sale posted this year means someone may soon be able to purchase a rare piece of Louisiana history for $550,000. The eight heirs of the family that owns Woodland Plantation, a raised French Creole-style home that stands nearly 200 yards from the river in St. John the Baptist Parish, have decided to sell the home that’s been in their family’s possession since the 1920s. 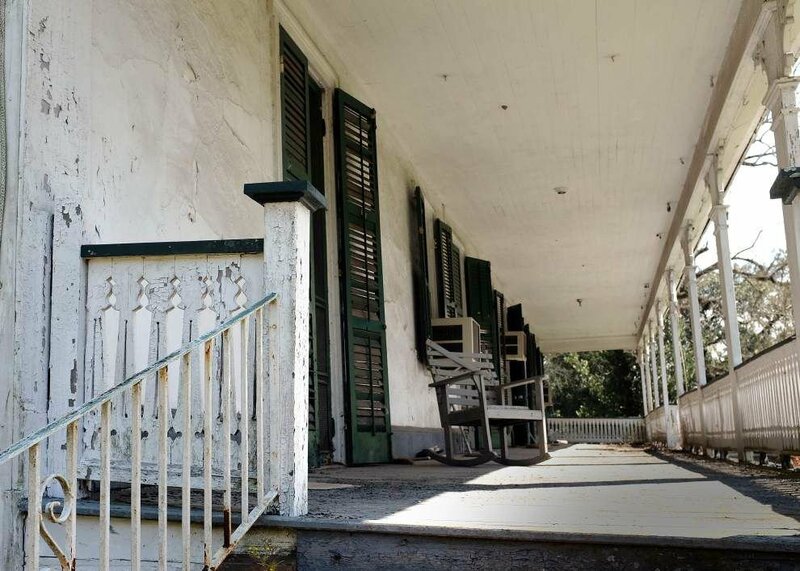 Built in 1793, the plantation has been called a “historian’s dream.” Not only is it one of only about 30 such properties left in Louisiana, according to the National Park Service, but it also was a key site in one of the biggest slave uprisings in American history. The property, which has been a major subject in several books on Louisiana history, helped spur the growth of LaPlace, a town about 25 miles upriver from New Orleans. It also was the birthplace of musician Edward “Kid” Ory, an early jazz pioneer who made some of the first African-American New Orleans jazz recordings and helped shape the sounds of the genre. Originally developed in 1793, the land was turned into a working sugar cane plantation for Manuel Andry, a commandant of the German Coast, a region of early Louisiana settlement in present-day St. Charles, St. John the Baptist and St. James parishes. According to the book “Creole Trombone: Kid Ory and the Early Years of Jazz” by John McCusker, an Advocate staff photographer, the plantation was first constructed as part of LaPlace, then just a village. At that time, the main house sat on a 1,882-acre farm consisting of cane fields, a multistory sugar mill and various buildings and stables behind the main property. Today, the 3,982-square-foot house stands on 3.7 acres along what is now La. 628 in LaPlace. It still contains the original solid raised foundation, with hand-hewn, 14-inch square cypress beams, interior walls that have the original plaster and six original fireplaces, along with detailed moldings and porch balusters. Those hoping for a move-in-ready home will be disappointed, however. The house, which has been described in real estate listings as in “poor” condition, has been abandoned for more than 10 years, according to some of the property’s remaining heirs. Shuttered and largely untouched since the last family member moved out in 2004, the house has no electricity or running water and is stained by interior mold spots. In some places, pieces of plaster are peeling off the walls, and wood is rotting. On Friday, as Jay Ory examined the plantation and its grounds, along with King and brother Robert “Bobby” Ory, he recalled memories of a home that had been passed down in the family since it was bought by his grandparents, Charles F. Montegut Jr. and his wife, Amanda, in the 1920s. As a boy, Jay Ory said, he grew up with his mother Hazel nearby, while his grandparents lived in the plantation with his uncle and aunt, Wilton and Dorothy Dufrene. His grandfather taught him the responsibilities of farm life, he recalled, asking him to feed his cows and chickens and come along on early morning horseback rides in the fields. His grandmother would cook in what is now a guest house behind the main plantation house, he said, and would bring in extra income for the family by renting out the upstairs to boarders. The most famous person to come from the plantation, however, wasn’t one of its owners. Kid Ory, the musician who gave a young Louis Armstrong a gig in Ory’s New Orleans Band, was born in a house behind the plantation on Christmas Day 1886, according to McCusker’s book. 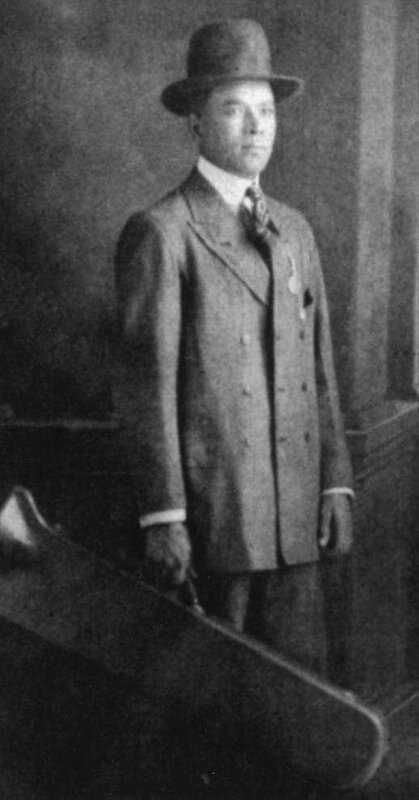 Ory — a Creole in the sense that he was French-speaking and of mixed race — was the son of Ozeme Ory, a member of the once slave-owning Ory family of St. John Parish. Kid Ory’s mother, Marie Octavie Devezin, was listed as a mulatto in the 1880 census. She worked as a washerwoman and often watched the plantation owner’s children during the day, when they would play with her kids in the yard, McCusker said. In 1898, Ozeme’s cousin, a member of another Ory family, bought the plantation, and the poorer Orys found themselves working for the richer ones. As such, Kid Ory’s early years were spent on the plantation, a life McCusker described as a “rough existence filled with harsh labor, long hours and punishing heat,” all for as little as 60 cents a day. When he wasn’t at the Fourth Ward Colored School in LaPlace, however, Kid Ory learned to play music, including the famous Creole song “Eh La Bas,” which has vestiges that can trace back to folk songs sung on porches in French when Ory was growing up. McCusker paints a picture of a time when the children of Creoles and plantation owners coexisted peacefully, but there was a time when that peace didn’t exist. About 75 years before Ory was born, the plantation was one of the locations of what’s been called the 1811 German Coast Uprising, an insurgency of slaves that extended several miles along the Mississippi River in Louisiana. Involving as many as 500 slaves, the uprising was led by a man named Charles Deslondes and took place on Jan. 6, 1811, near Woodland Plantation, which was then called the Andry Plantation. As they marched from sugar plantations toward New Orleans, the insurgents collected men along the way. They were eventually caught on another plantation, where as many as 100 slaves were said to have been killed, their heads put on poles. Some accounts say only two members of slave-owning families were killed in the revolt. Albert Thrasher challenges that, saying “it is impossible” to get a truthful count of the casualties. In his book, “On to New Orleans! Louisiana’s Heroic 1811 Slave Revolt,” Thrasher describes the uprising as a carefully plotted act, the “inevitable outcome of the sharpening struggle” between slaves and masters. Despite the revolt’s importance, few people know about the role of Woodland Plantation, as the uprising itself remains largely under-reported, according to Leon Waters, who passed on an oral history of the event after hearing stories from his cousin, a River Parishes resident named Clara “Kizzie” Duncan. As for Jay Ory, he’s just hoping another owner will appreciate the house for its historical value and its potential grandeur, and will be able to better care for it than his family could.